Maintaining a certain style in communication and serving guests is an important element of work of every hotel. 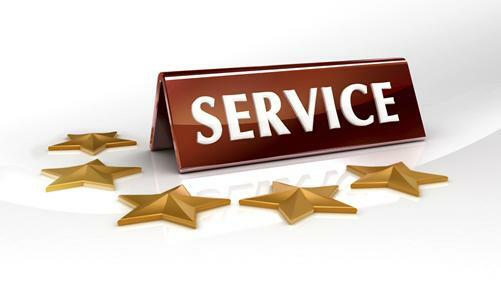 Style of service is a set of certain rules and standards of behaviour of the staff in servicing guests of the hotel. Each of the workers contributes to the creation of the client’s good image of the hotel. That’s why when talking on the phone, in person or in writing the workers of the hotel must maintain this style both with the guests and the colleagues. A hotel is a place where people of different nationalities and cultures are served. Therefore the workers should rigorously observe the rule of respectful treatment of people of any cultural traditions and mentalities, as well as be ready to communicate with them without any prejudices. The pride of any hotel are workers that can speak different languages, make good impression on guests by their knowledge and flexibility in communication. The main goal of the serving staff, as well as the maintenance staff is creation of a friendly atmosphere. Thus, addressing a guest by the name any worker may win the guest’s favour. Its important to create an atmosphere where any guest is able to address any worker of the hotel with his or her problems or concerns and, what is more, where such problems are quickly solved and the guest’s expectations are lived up to – this should become the main guarantee of success in the competitive environment on the market of hotel services. It is important to constantly show attention to the guests as the guest is always the most important person in the hotel.